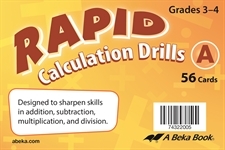 From converting 5/10 to .5 to the meaning of deci-, use these flashcards to make sure that your child understands arithmetic concepts and to build his computing speed. 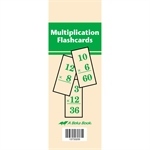 Correlated with the arithmetic third and fourth grade textbooks, these concept cards can be used as teaching visuals and for systematic review as explained in the Homeschool Arithmetic Curriculum/Lesson Plans for those grades. Cards are numbered and labeled with color coding for similar concepts. Initial cards provide table of contents for the front and back of each card so that you can easily locate just the card you need. 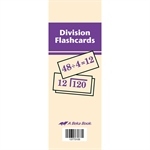 Contains 193 cards with answer or corresponding concept on the back. Time, linear, capacity, and weight measures, and more!